See below a few of our customers, what they do and what we did or are still doing for them. Want to embark on your own e-com journey with us? Omoda is a Dutch family business owned by the brothers Lourus and Wilhelm Verton who took over the company from their father. 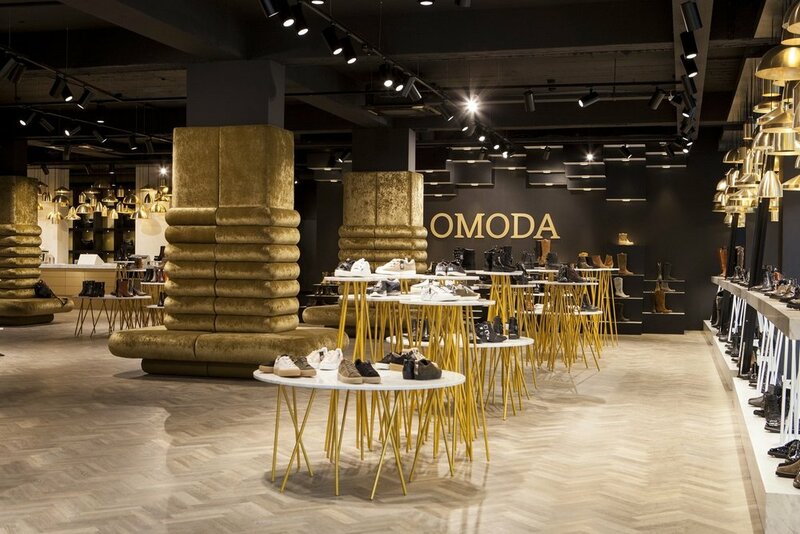 With over 250 brands, over 20 shops and 4 websites, Omoda is a leading shoe retailer in the Benelux. For Omoda we are connecting business with technology and are responsible for further developing the platforms (Salesforce Commerce Cloud, Marketing Cloud and Service Cloud). We have the overall lead, we manage the design and development teams and oversee implementation, development and platforms of the e-commerce websites and beyond. When Denham wanted to up their e-commerce game, we led the migration of their webshop to Salesforce Commerce Cloud and the launch of their official DENHAM App. We provided online content for product and brand pages and enhanced the platform with new and innovative functionalities. LaDress is a Dutch fashion brand with one thing in mind - helping you discover the perfect dress for every occasion. We helped the team implement their mobile sales app and connect it to Salesforce Commerce Cloud. We lead further development of the e-commerce business. We also work with the existing e-commerce team to improve efficiency and processes. CLUSE is a minimalistic watch brand that grew big because of their strong social media game. We helped CLUSE with the launch of their new webshop on Shopify. We helped setting up the e-commerce team, developed a content briefing process and content strategy & worked together with their implementation partner on requirements for the webshop, the set up of all product data and the preparation of all content through the new website. McGregor is a fashion brand for men with roots in the United States, where a Scottish hat designer started the brand in 1921. In April McGregor re-launched their brand and we worked with their implementation agency on the requirements and design of their new webshop on Shopify. We made the project planning, set timelines, created and executed a content strategy and set up processes and trainings on how to work efficiently.